If you have any questions about the KOS information page below please contact us. The motor yacht KOS is a superyacht of well proportioned proportions. This 37 m (120 foot) luxury yacht was made by at Benetti Yachts in 2008. 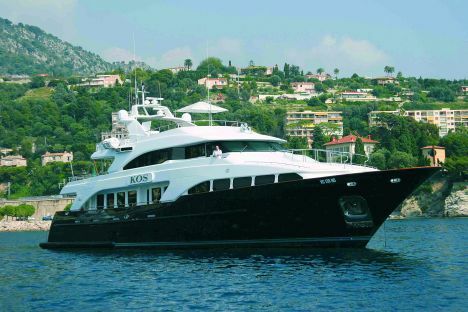 KOS was formerly named the project or yacht name (Benetti Classic). The naval architecture office whom authored the design details in respect of the yacht is Benetti and Stefano Righini. Zuretti Interior Design was responsible for her interior design. The yacht's general design work came from Benetti and Stefano Righini. The technical naval architect intellectual property are a work of Benetti Yacht Design. Motor Yacht KOS received her elegant interior designing from the interior design skills of Zuretti Interior Design. Built by Benetti Yachts this vessel was constructed in the recognised yachting country Italy. She was officially launched in Viareggio in 2008 before being transferred to the owner. Her main hull was built out of vtr. The motor yacht superstructure component is fabricated extensively using composite vtr. With a beam of 7.9 m or 25.92 feet KOS has reasonable size. A reasonably shallow draught of 1.95m (6.4ft) limits the number of harbours she can enter into, taking into account their particular depth at low tide. The yacht is powered by twin capable MTU diesel engine(s) and can find a industrious top continuous speed of 16 knots. The main engine of the yacht creates 1550 horse power (or 1156 kilowatts). Her total HP is 3100 HP and her total Kilowatts are 2313. For propulsion KOS has twin screw propellers. This yacht’s high cruising speed is 15 knots which produces a range of 3300. Main Engine(s) is two 1550 Horse Power / 1156 Kilowatts MTU. Total engine power output 3100 HP /2313 KW. 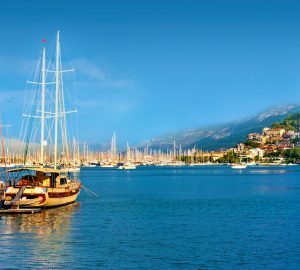 The luxury yacht KOS displayed on this page is merely informational and she is not necessarily available for yacht charter or for sale, nor is she represented or marketed in anyway by CharterWorld. This web page and the superyacht information contained herein is not contractual. All yacht specifications and informations are displayed in good faith but CharterWorld does not warrant or assume any legal liability or responsibility for the current accuracy, completeness, validity, or usefulness of any superyacht information and/or images displayed. All boat information is subject to change without prior notice and may not be current.